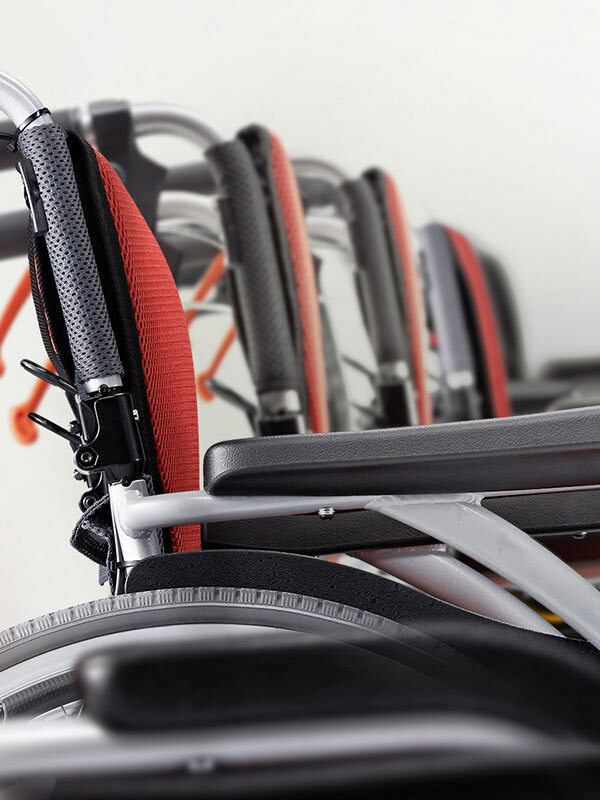 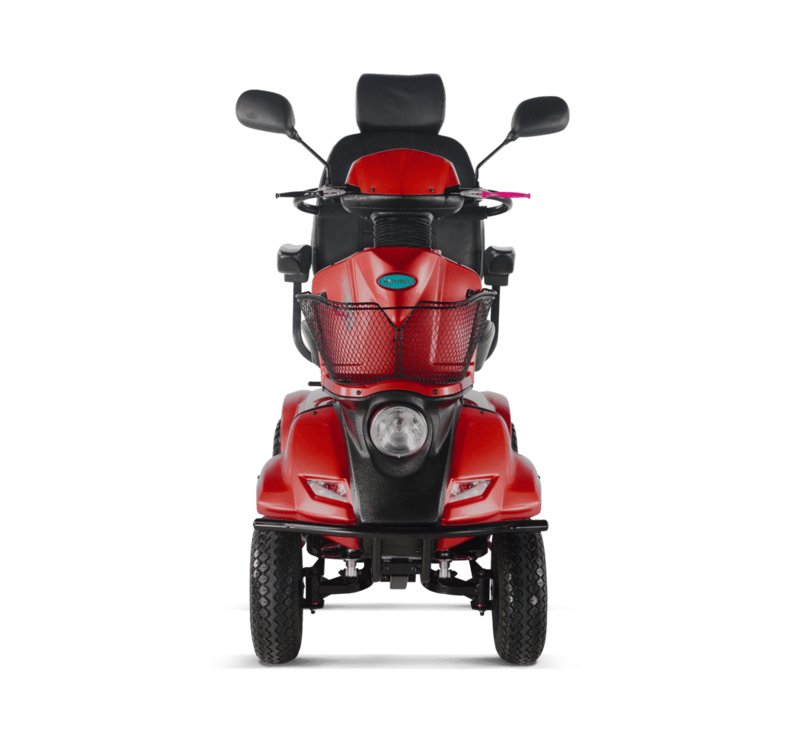 To offer extra comfort for long distance journeys so users can cruise easily on smooth surfaces or climbing uphill, the KS-848 is equipped with a 4-pole motor with robust horsepower output. 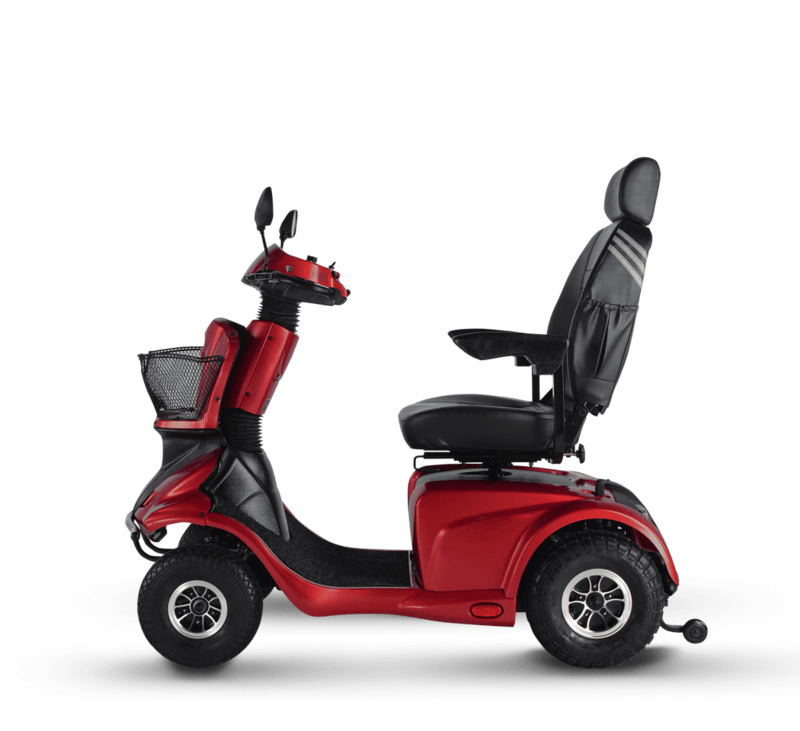 In addition, the extra-wide rear wheelbase helps ensure that the ride is stable and smooth even when the scooter makes a turn. 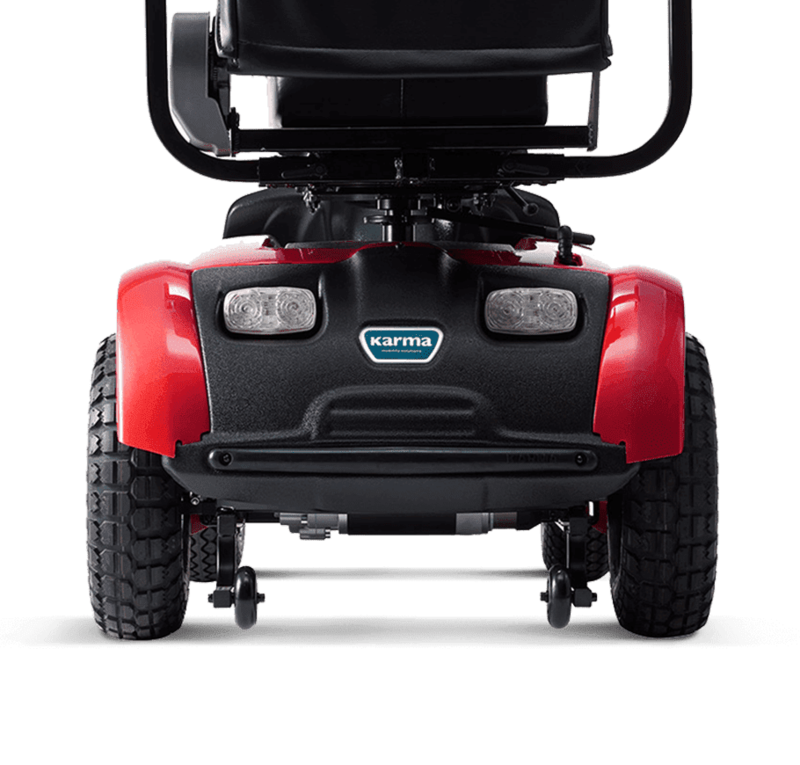 It also features the addition of our all-new “parallel” tiller transition, allowing users to get in or out of the seat easily, and adjust the tiller to the optimal and most comfortable driving position. 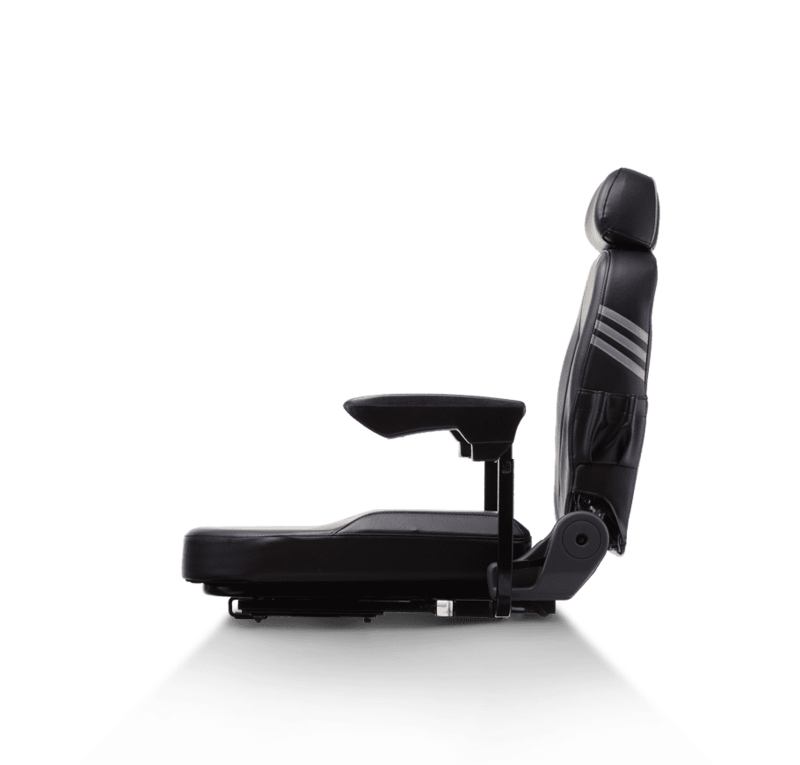 Adjusts for optimal viewing angle on the control panel when the tiller is pulled towards (and thus created an angle) the user. 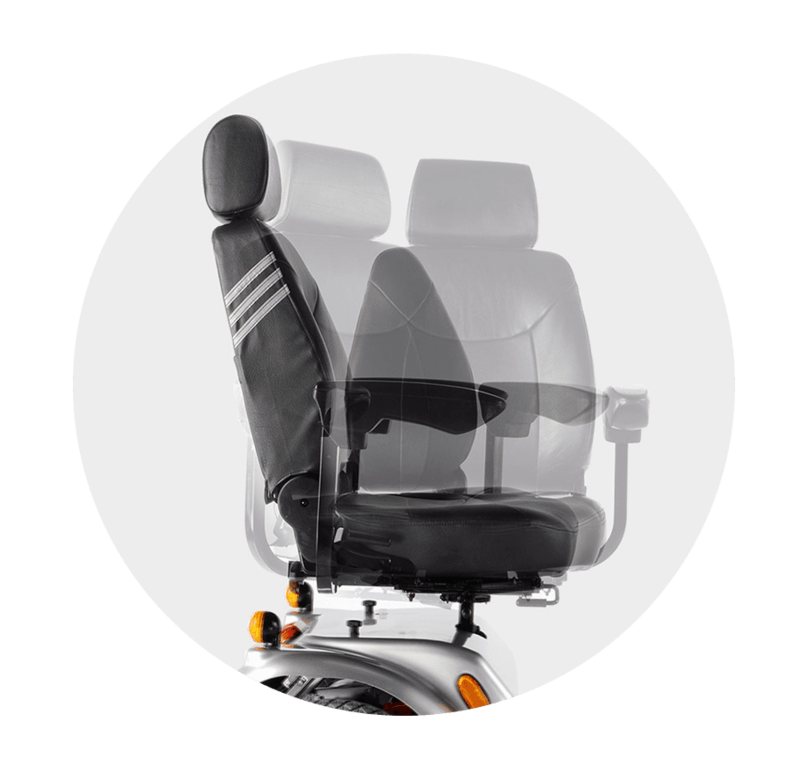 Allows users to get in or out of the seat easily. 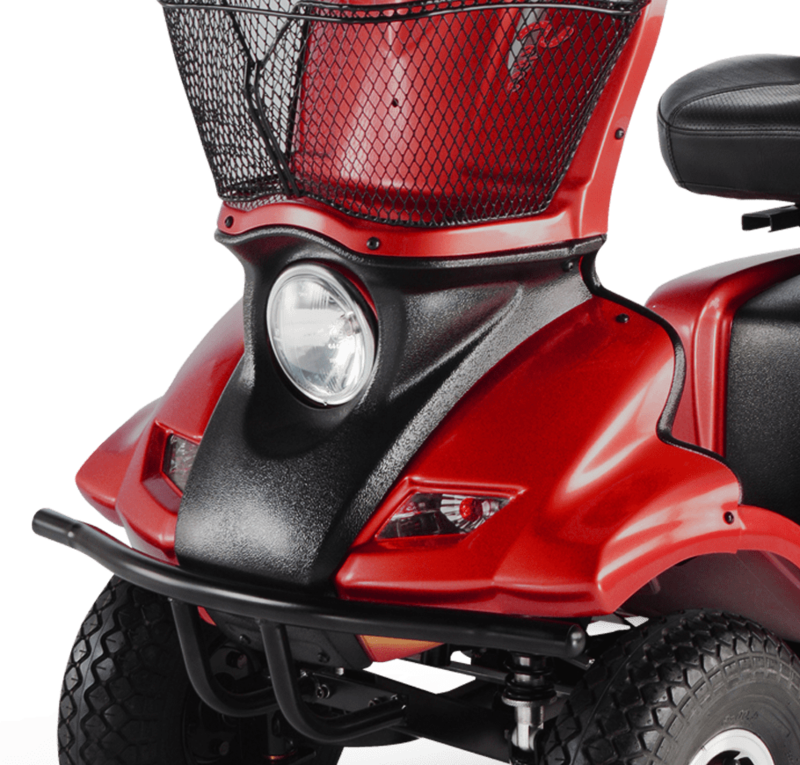 With the “parallel” tiller transition system, the user can pull the handle bar towards the body for more convenient driving and operating. 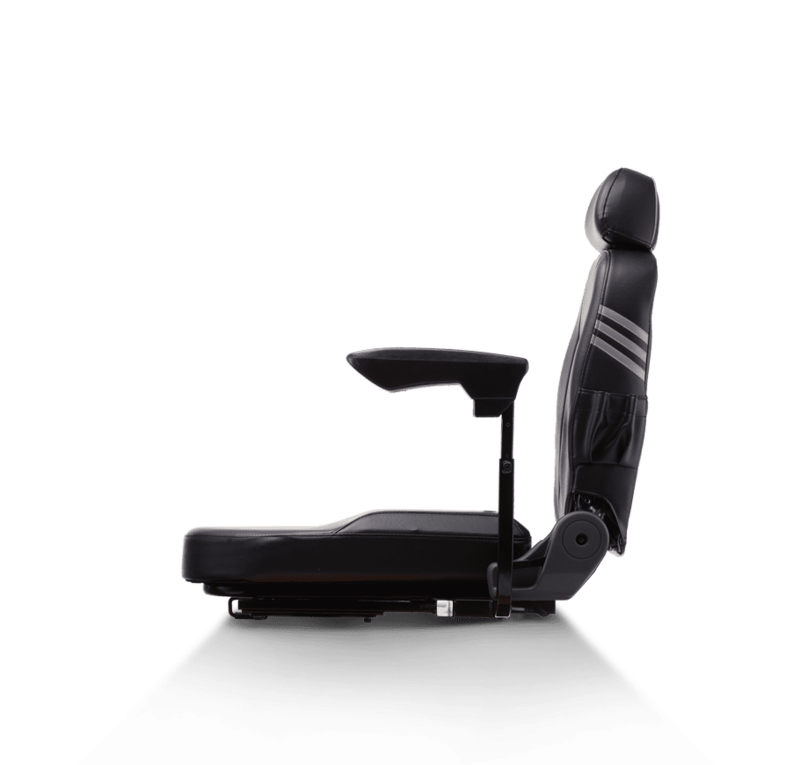 A back-up (secondary) braking system for enhanced driving safety. 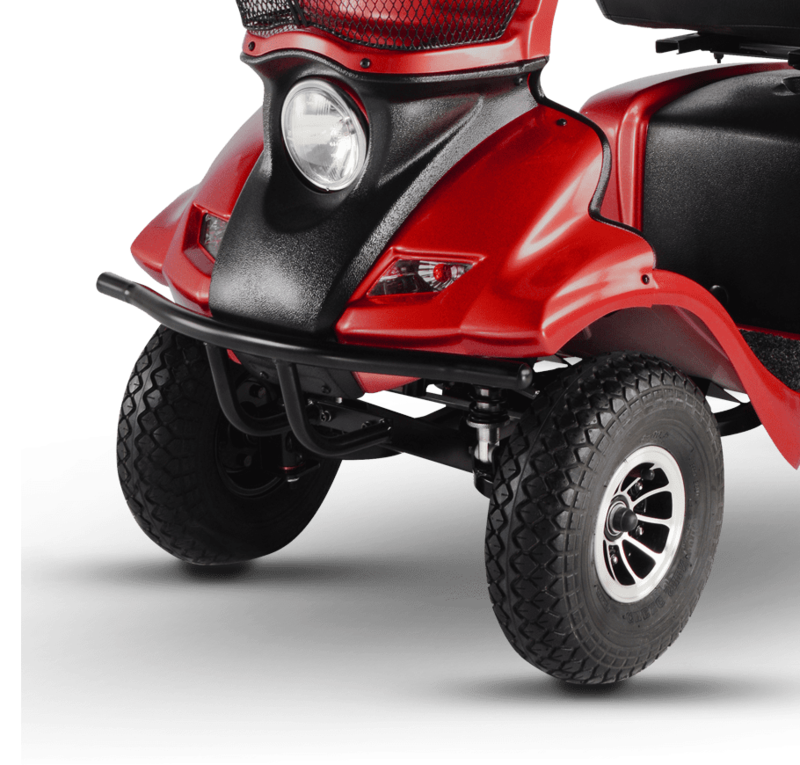 Large 12”x14” front and rear wheels. 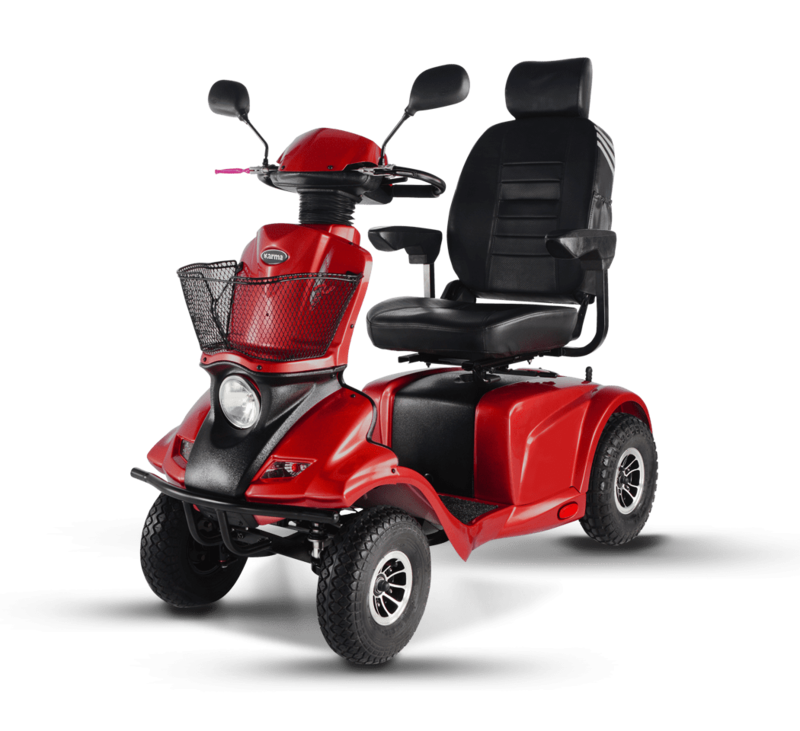 Hydraulic shock absorbers for both front and rear wheels; extra wide rear wheelbase. Stable driving over long distances and safe turning with peace of mind. 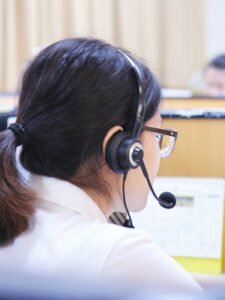 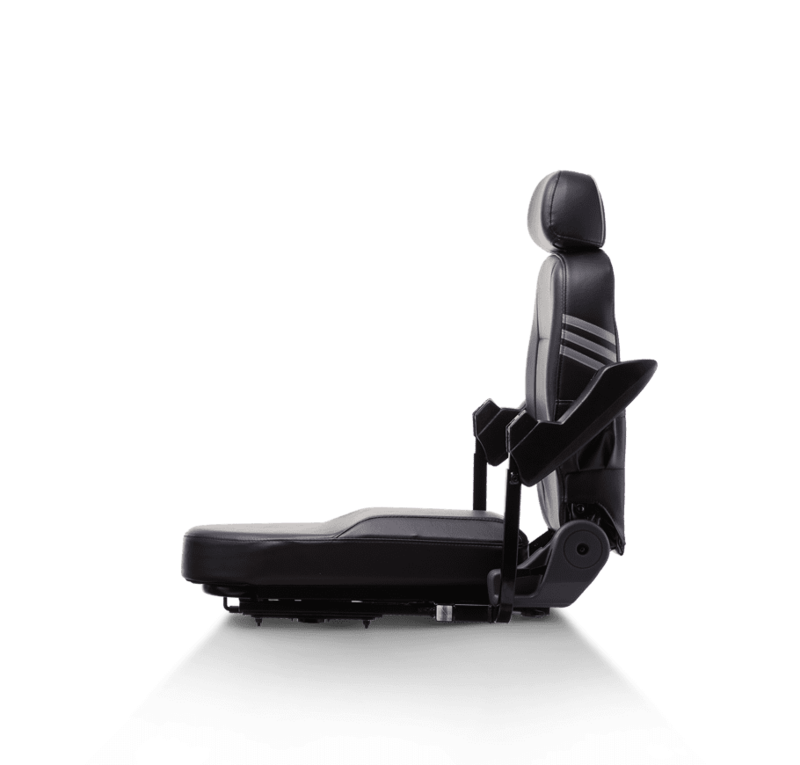 To best suit your needs, you can adjust the seat forward/backward, up/down, etc. The seat can be laterally rotated 90 degrees to make it easier to enter or exit from the scooter. 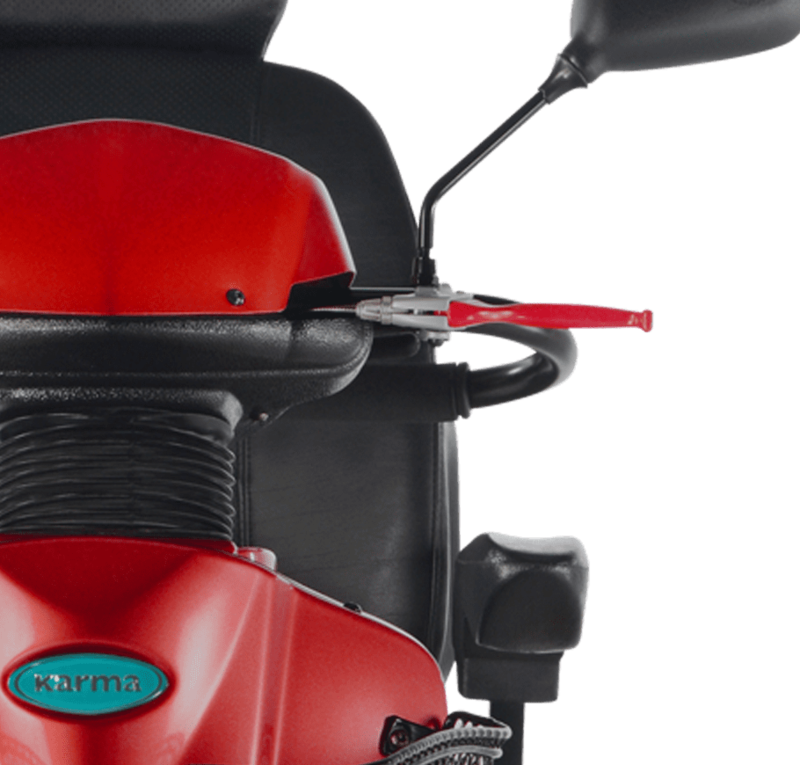 The headrest can be adjusted for height to suit individual needs. 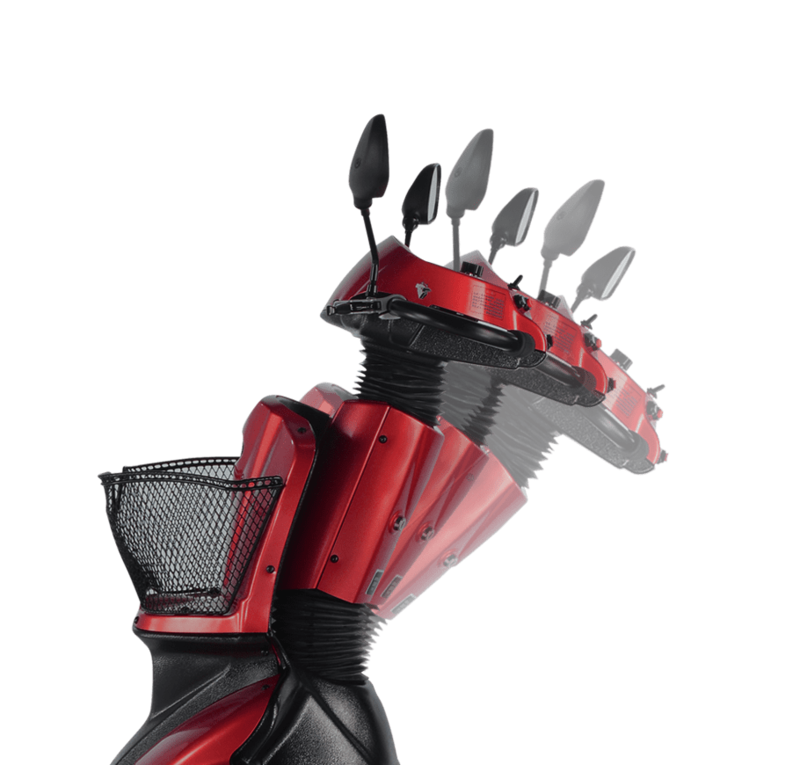 Allows each wheel to independently absorb shock, effectively dampening shock and vibration and delivering a substantially smoother and comfort ride.